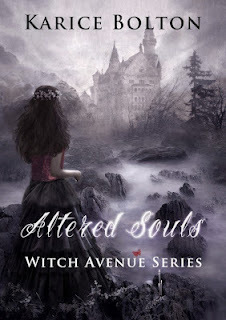 It's two weeks before Triss turns 18, and her world is about to change into the most magical one imaginable as she readies herself to enter The Witch Avenue Order... that is until her mother's disappearance. Instead of celebrating her transformation, she finds herself spreading rose petals into her mother's empty grave. When Logan, her best friend from junior high, moves back to town for college, he vows to help her find the answers she so desperately seeks surrounding her mother's disappearance. As they begin uncovering clues, it becomes apparent that the life of white magic they both grew up loving is not what the majority practices, and their lives are in danger. With a haunting feeling that her mother may still be alive, she begins to hear a call to the wilderness. Triss realizes that in order to find the answers she needs, she must learn the ways of her ancestors and become the hunter, not the hunted before it's too late, and she becomes part of the lonely souls. Karice married the love of her life who she met in high school, and she still can't get over how cute and funny he is. They have two English Bulldogs that are the sweetest bullies in the world, and they use their cuteness to get what they want. Karice loves the snow and gravitates towards the stuff as often as possible! She enjoys skiing and tries really hard to snowboard, but often makes a nice little area to sit while everyone zips by on their board. She enjoys writing, and she also loves to read just about anything with print. 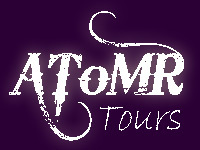 I'm always drawn to stories about witches and that is why I signed on for this tour. 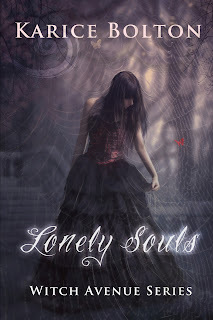 I enjoyed reading Lonely Souls and learning about Triss's world. 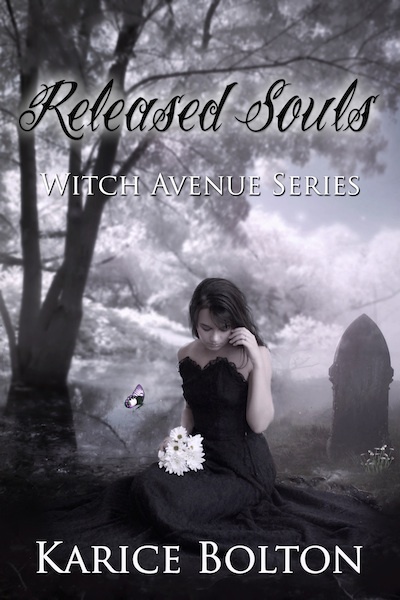 Sadly, just as she is about to celebrate her 'change,' her eighteenth birthday, and be accepted by the Witch Avenue coven, her mother disappears. Heartbroken but still hopeful her mother lives since a body was not found (Mom disappeared by the ocean and is believed dead), Triss finds herself at a memorial and not at a celebratory event. Her aunt comes to help out as does her mom's old friend and her son, Logan. Things begin to get creepy and Triss finds herself alone in her mother's flower shop with some type of menacing ghoul. From then on things turn mysterious as Triss and Logan try to figure out what happened to her mother and why black magic is being used among the coven. Karice Bolton has a nice flowing writing style which added to my enjoyment of Triss's story. The problems associated with first person pov occasionally came through in some scenes when I felt I was stuck in Triss' head for too long (especially when she was mulling over her feelings for Logan and the growing relationship's impact on searching for her mom). There was also a repetition of ideas and thoughts which I felt would've better been displayed through dialogue or action. The mystery and the supernatural components of this tale held my interest and the more I read, the more I was intrigued. As Triss and Logan try to discover what's going on with her coven, I did hope to see more of the lifestyles, actions and ceremonies of the coven. Since this is the first book in a series, the coven's craft may be delved into in another book. I will mention I liked how the author showed us how Triss learned how to identify plants and flowers from her mother and how to make tinctures. The aspects of using white magic were made apparent and watching Triss following in her mother's footsteps added to my connection with her. During the opening chapters I wondered about life as a coven member and was curious how integrated (or not) they were within the neighborhood. Did regular people know about their existence or were their identities secret? Having this would have cleared up some of my questions. There were times Triss sounded much younger than eighteen and then older while Logan came across as older despite being the same age as her so I questioned these inconsistencies. Also, the pacing was inconsistent--slow in the beginning, picked up midway, then slowed then really increased. Thankfully, the author gave us a true couple in Triss and Logan and not some swooning case of insta-love frequently found in paranormal. Since they've been best friends since childhood, there is a strong connection to the two which comes across as natural and not forced. They respect each other and I really liked them both as characters and as a couple. Triss is a sympathetic character and as she grew, both in spirit and determination to unearth her coven's secrets and the truth about her mother, she became my favorite. Her recognizing black magic for what it is and yet her attraction to it was so realistic, so understandable, and the author excelled at bringing her conflict between the good and bad magic to life. Some of Logan's remarks early on made me wonder about his motives as his own mysterious past gets revealed throughout the story. Bravo Ms. Bolton for slipping this in and making Logan such a complex and nice guy. Despite my concerns, there was a strong enough foundation, likable characters, and magic to make Lonely Souls an enjoyable read. There's the prom dress-pretty girl cover (again) but the darkness twirling about redeems this cover for me.